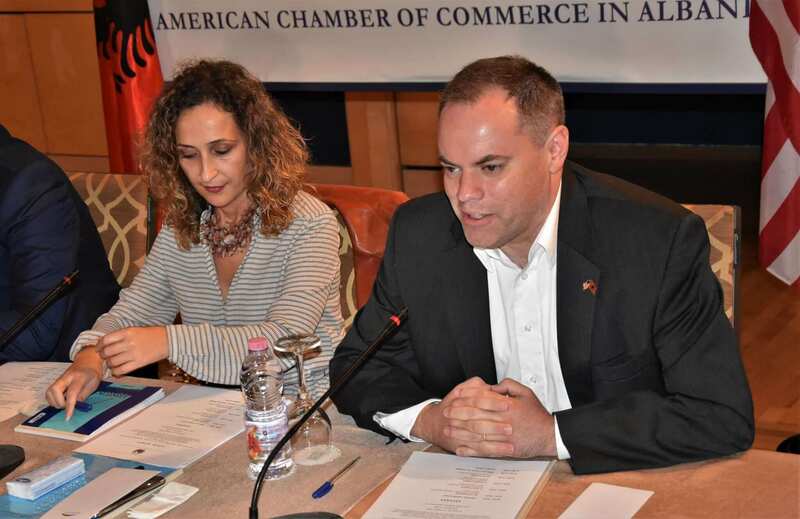 American Chamber Speaks with Inspector General on Regulatory Reform in the Field of Inspections In a meeting with the members of the American Chamber of Commerce, the Central Inspectorate launched today its awareness campaign on the newly approved Regulations on Inspections as a Due Administrative Process. 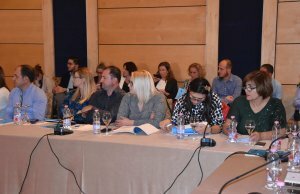 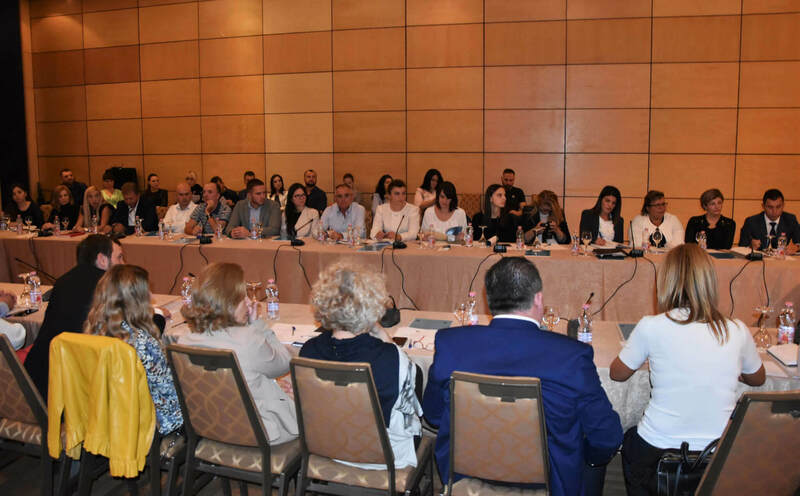 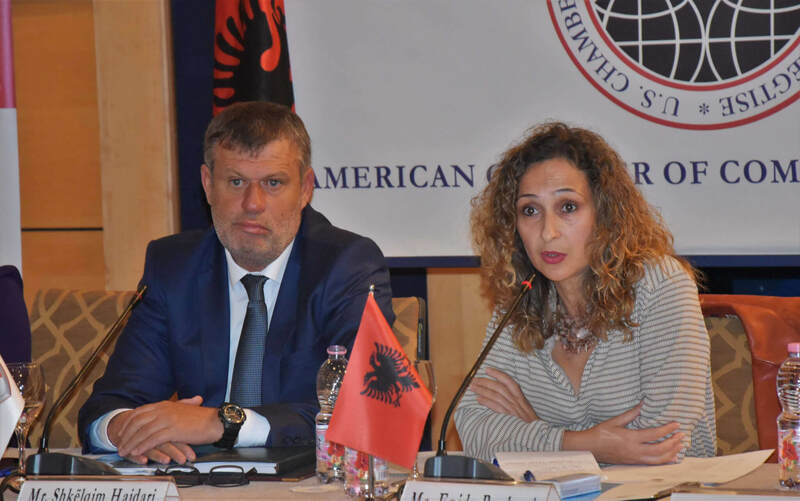 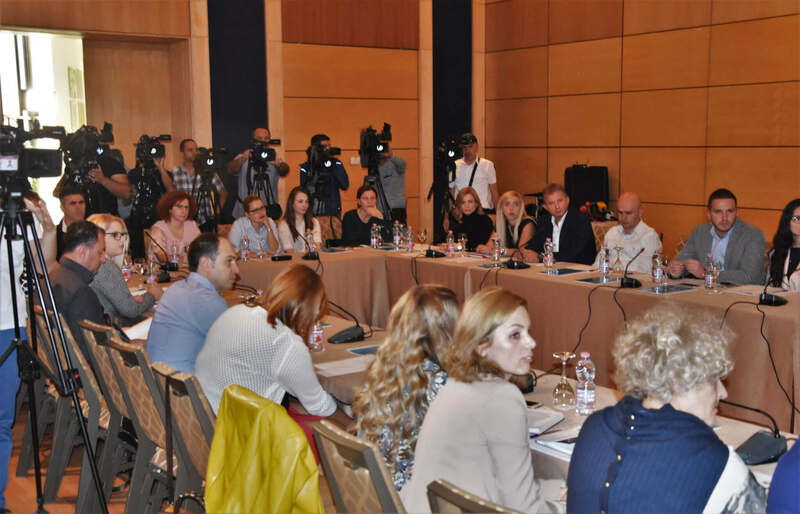 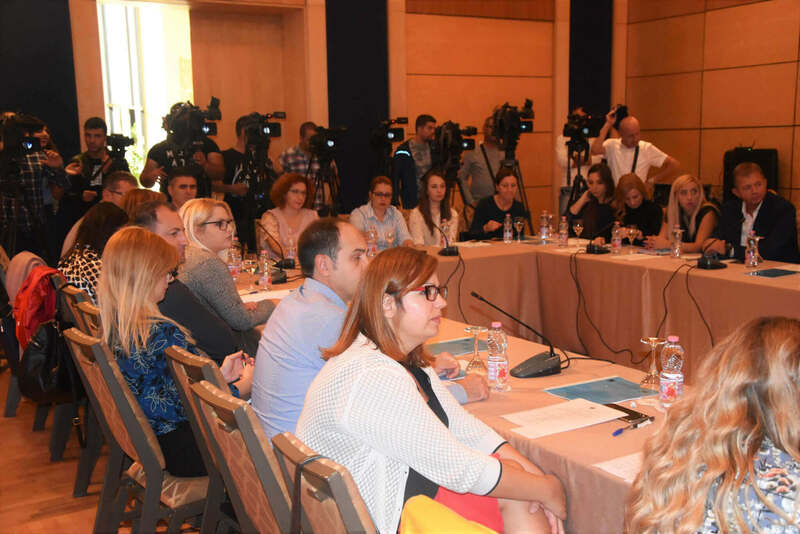 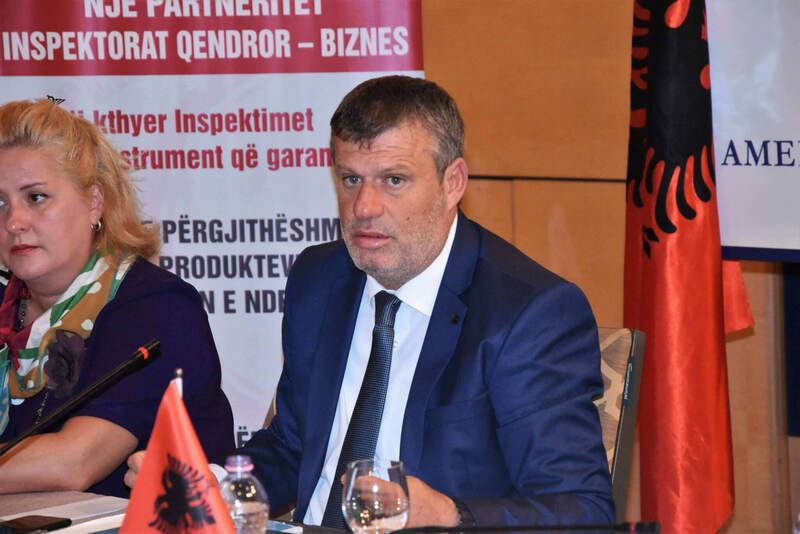 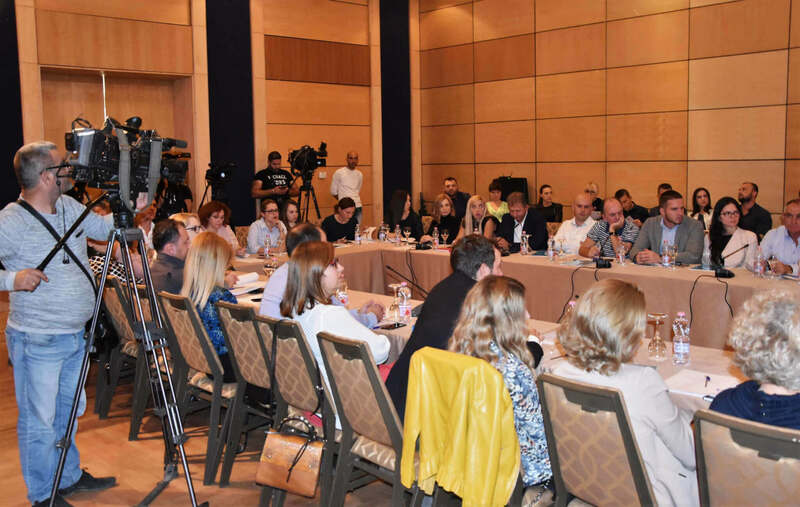 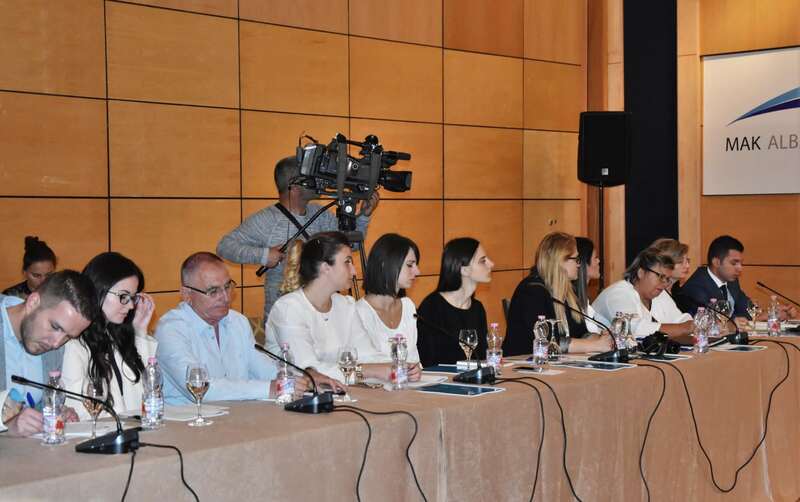 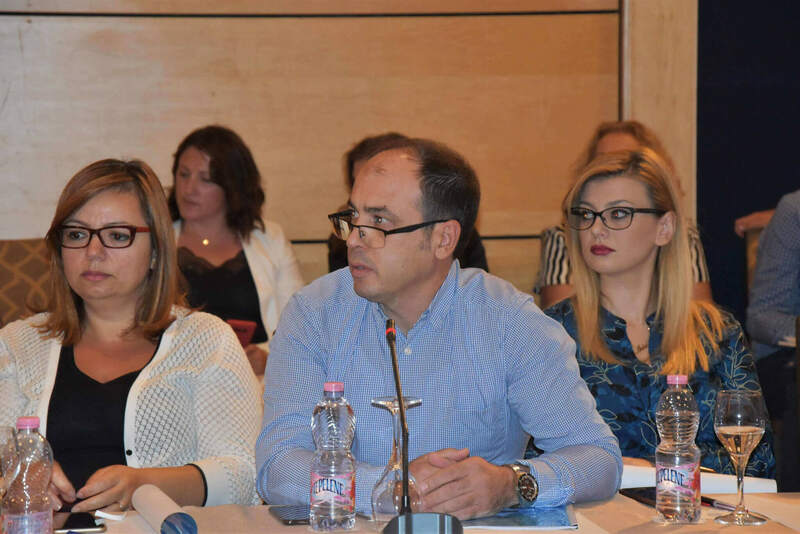 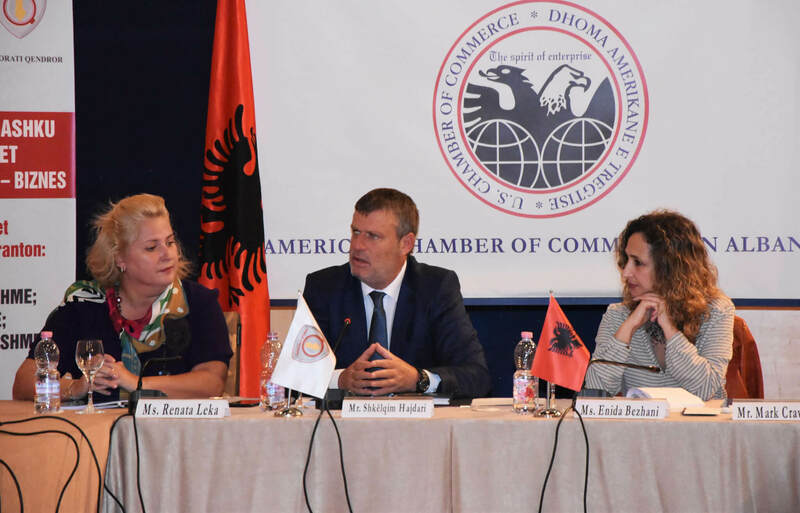 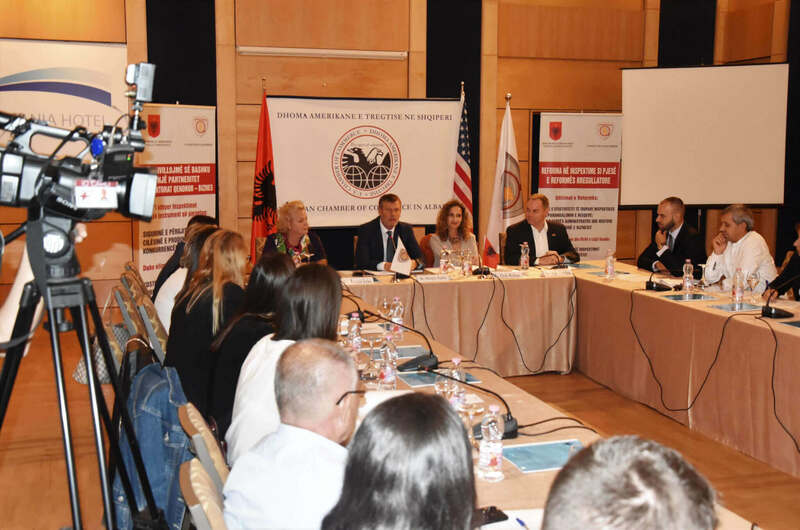 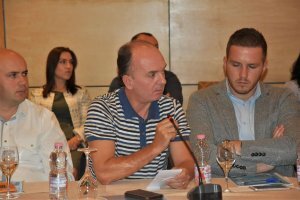 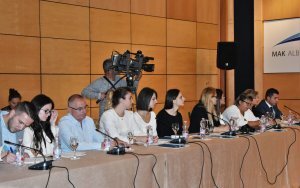 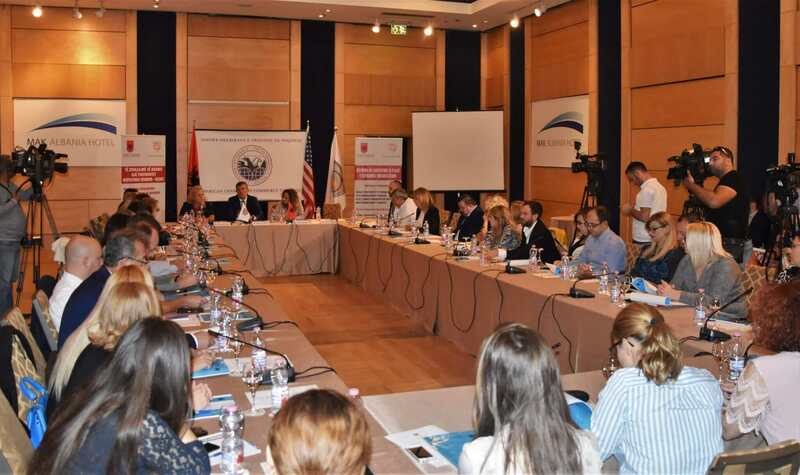 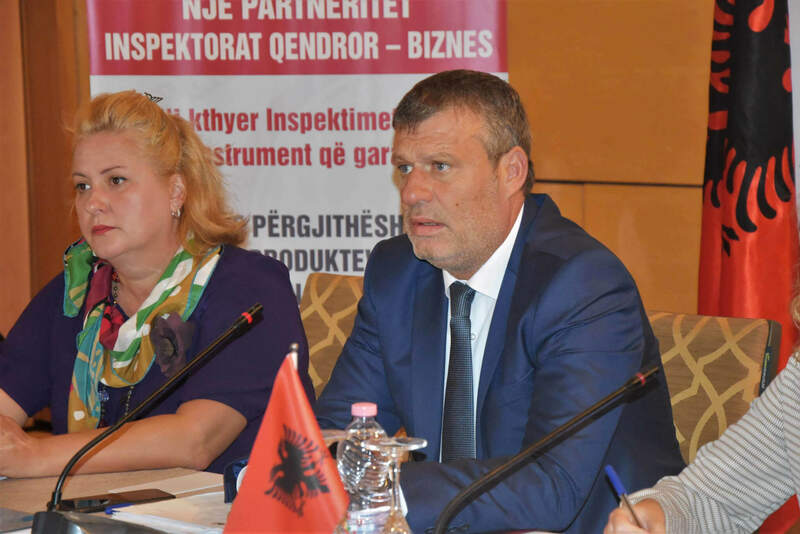 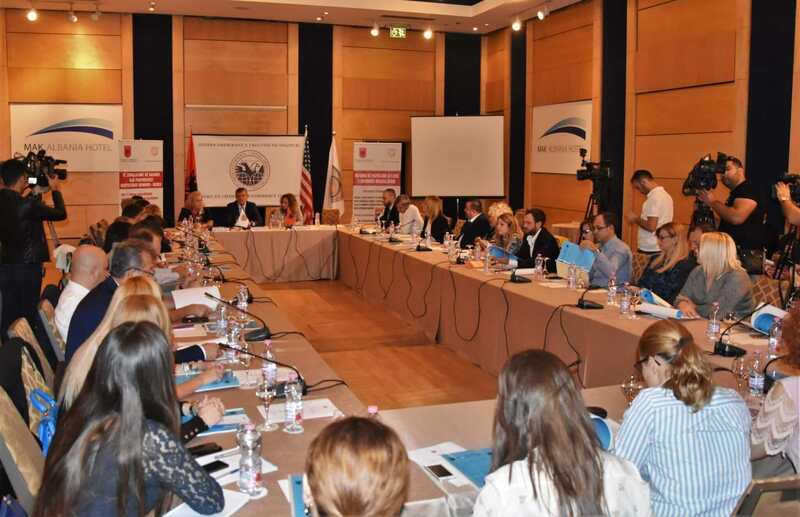 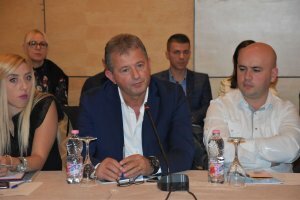 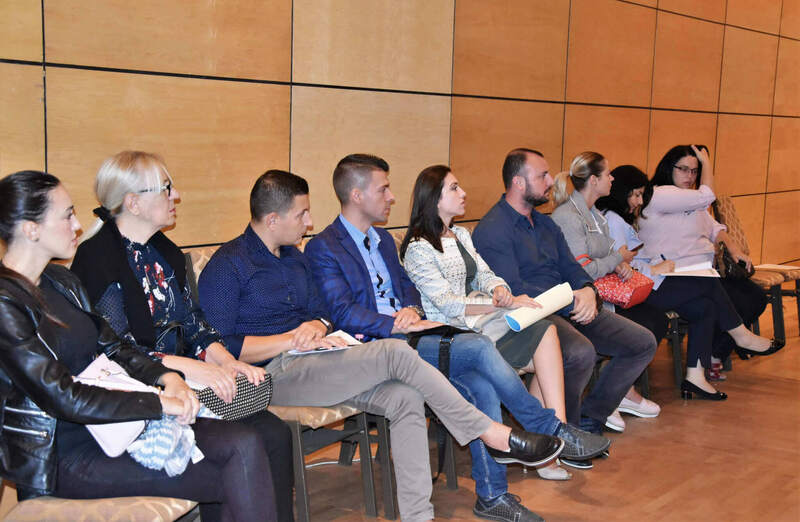 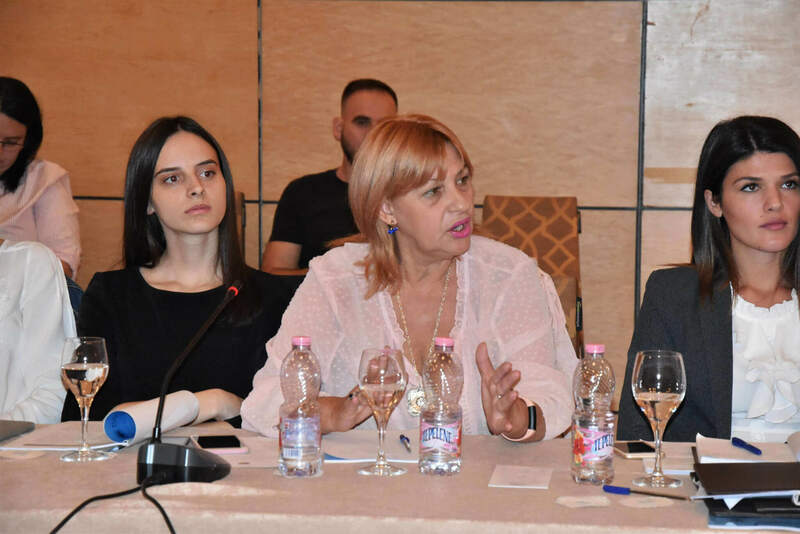 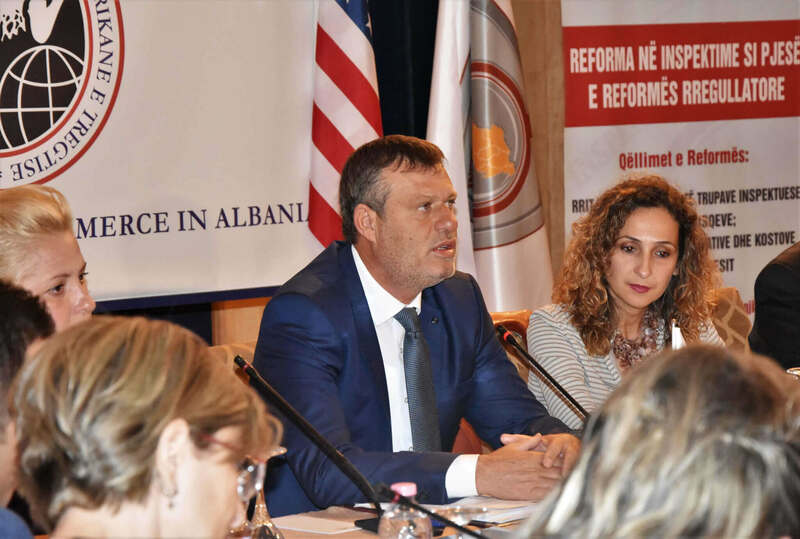 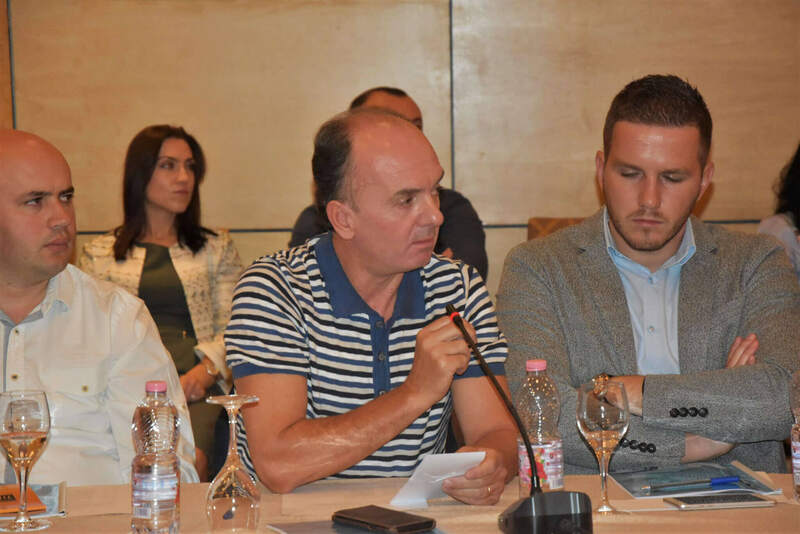 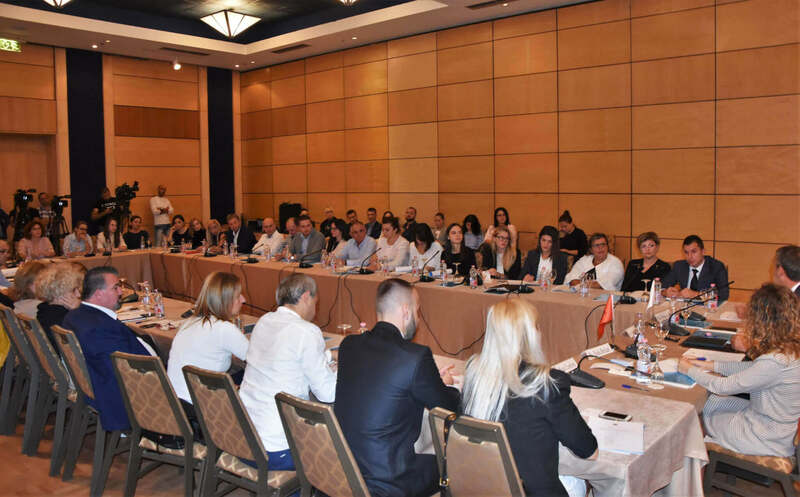 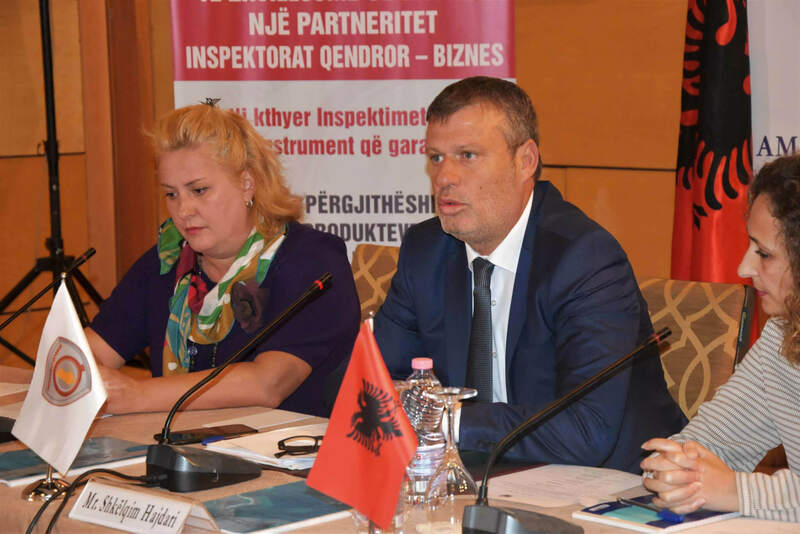 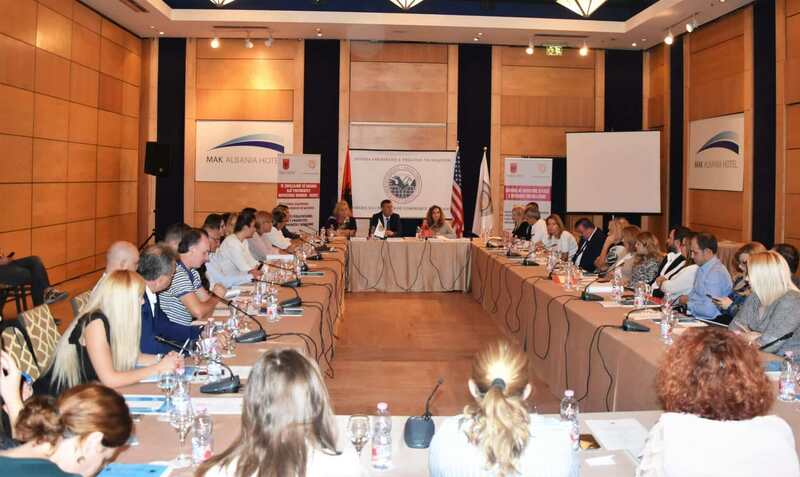 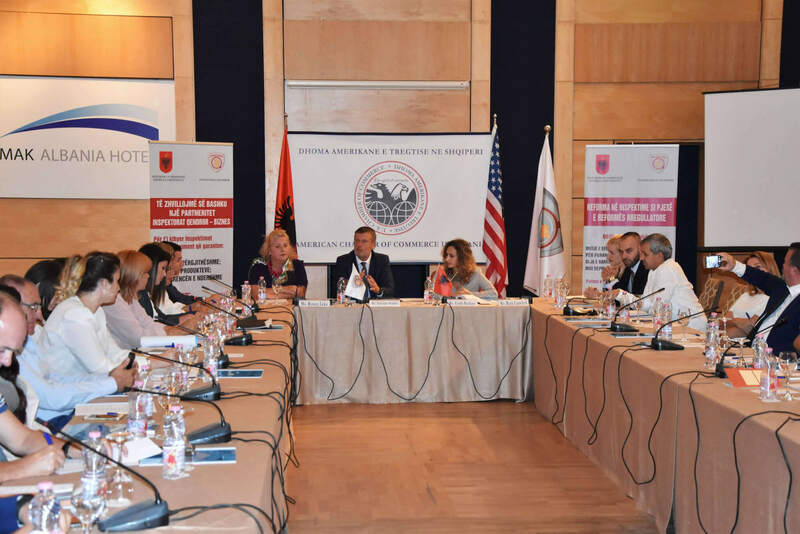 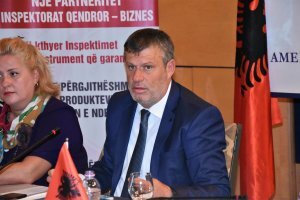 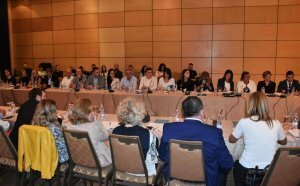 The Inspector General, Mr. Shkëlqim Hajdari, spoke openly with the members of the Chamber asking for their cooperation to make the Inspections Reform work. 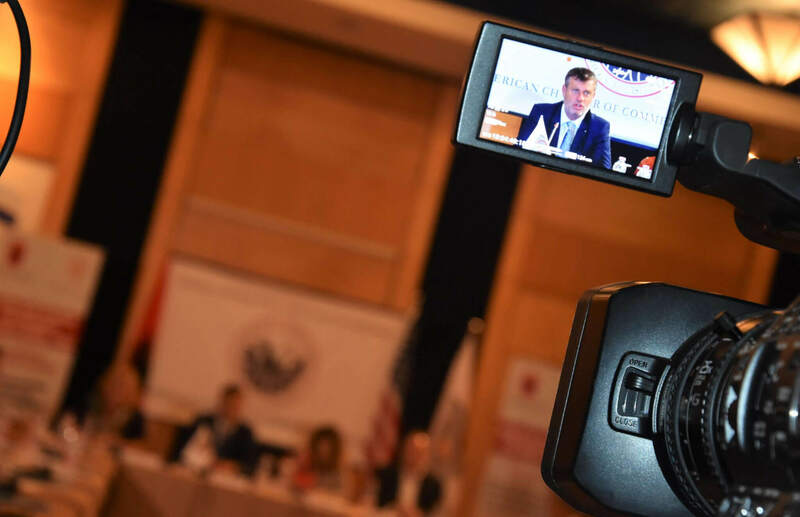 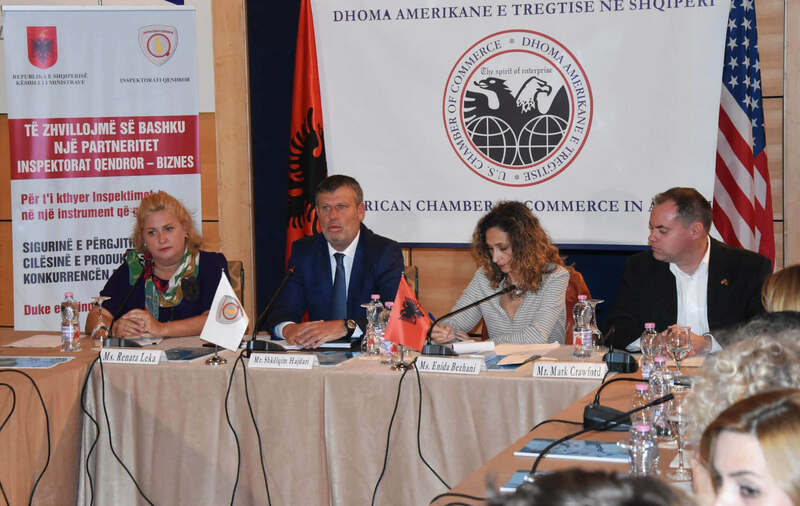 "The regulatory reform in inspection aims to establish a fair and direct working relation between inspectors and business relying on mutual respect for the law and the fight against abusive clientelist inspections favoring corruption of inspectors who show up just with a note book and blackmail businesses" - said Mr. Hajdari In his Welcome Note, among others, the President of the American Chamber, Mr. Mark Crawford, stated that he would welcome inspectors to his businesses, however he did not wish for inspections to take long, be frequent and create burdens for his businesses. There are elements that inspectors should carefully consider. 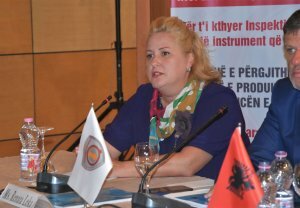 The Executive Director of the Chamber, Ms. Enida Bezhani, while expressing her great appreciation for the ongoing cooperation with the Central Inspectorate, emphasized that such joint meetings come both in light of AmCham’s vision to cooperate closely with all the governmental institutions and agencies and also in light of the AmCham’s mission to lobby for the concerns of its members at large. 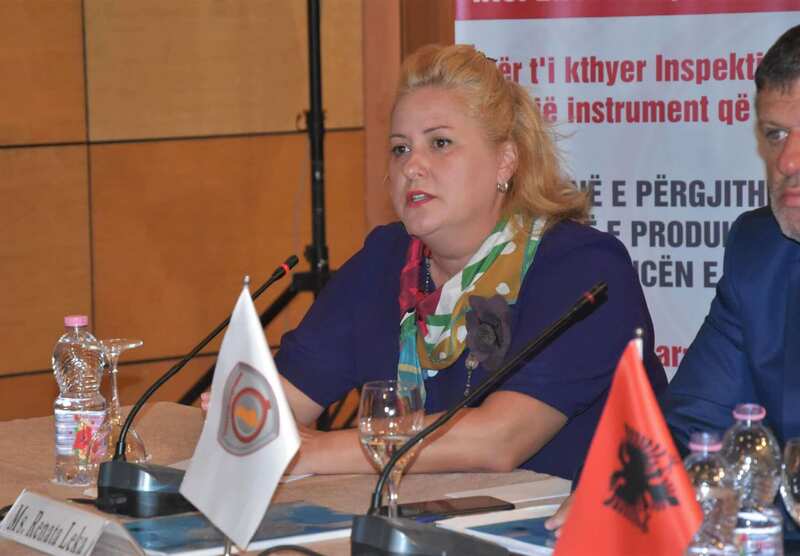 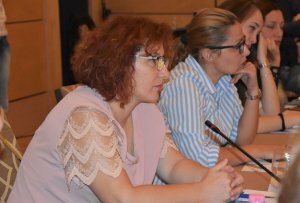 The Chairman of the IPR Committee, Ms. Renata Leka, spoke about the work done by the committee to have a collaborative relation with the Central Inspectorate and the current requirements for accurate and transparent inspections. The Inspector General introduced all the components of the new Regulations, which clearly aim to increase transparency and fight corruption and during inspections. 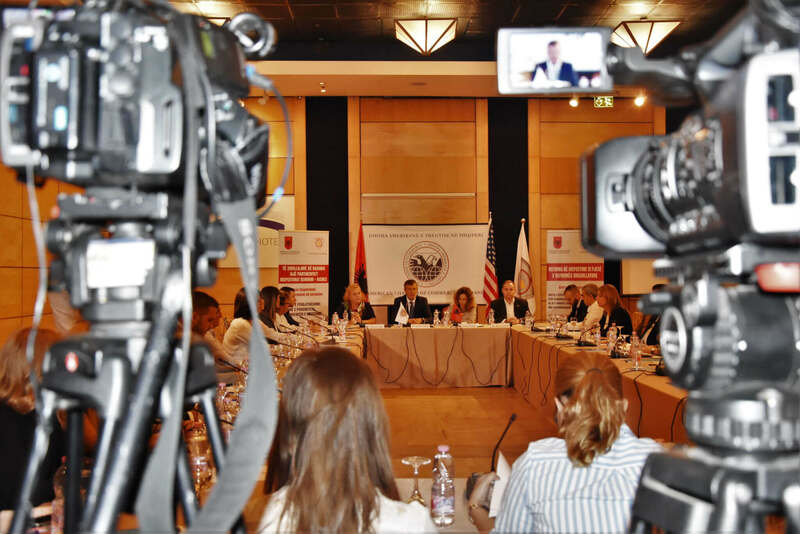 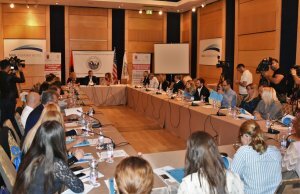 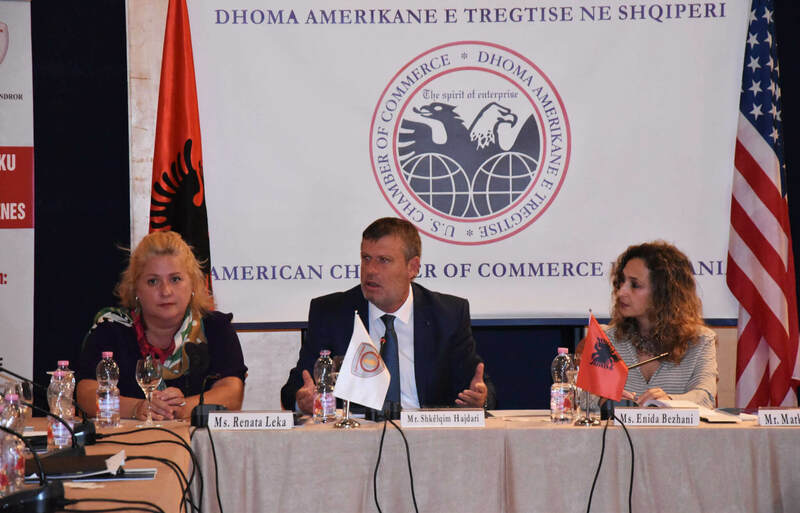 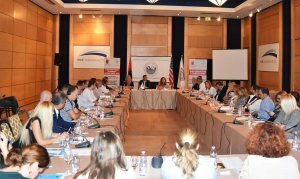 The members of the American Chamber and Mr. Hajdari went on to discuss ways of cooperating and how to denounce each case of abuse.